I am so glad that you stopped by our little corner of the internet! Of course I had to include a photo with the boutique's namesake, how adorable is she?! 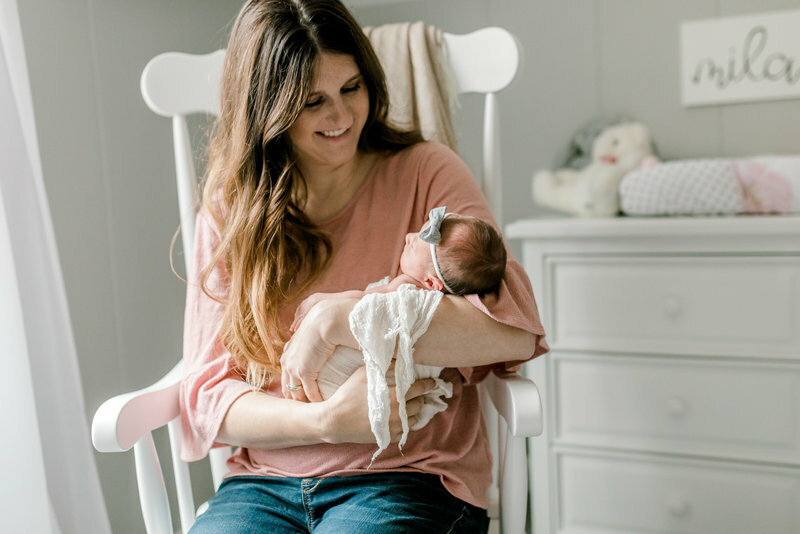 I started the boutique to not only bring family and friends beautiful pieces of clothing but to be able to spend more quality time with my newborn daughter. My husband and I got married in 2014 in Grand Rapids, MI. That day was seriously one of the best days as it set the foundation for what our marriage would be, a whole lotta fun surrounded by our friends and family! During our first two years of marriage we welcomed two fur kids and a change in careers. We now reside in Holland, MI close to downtown and the beach. This past year we welcomed our daughter, Mila, and couldn't be more in love with her! In 2015 I started Melissa Anne Floral Co. providing beautiful designs and floral for weddings for amazing couples! I seriously love this job and the couples it connects me with! In the summers you can find us enjoying our family and friends at my parent's cottage in northern Michigan and during the fall and winter months you will find us cheering on the MSU football and basketball teams! It's so good to meet you, friend!